The Occupational Safety and Health Review Commission (OSHRC) has ruled that workplace violence is covered by the general duty cause of the Occupational Safety and Health (OSH) Act, thus making employers liable for acts of violence affecting their employees while carrying out their work duties, whether onsite or off. The review-decision stems from the 2012 stabbing death of an Integra employee who was calling on a patient at his home per instructions from Integra. The patient, with a history of mental illness and violence, attacked the employee with a knife nine times and left her for dead on his front lawn. She was found by a motorist passing by and taken to the hospital, where she died. The Centers for Medicare & Medicaid Services (CMS) has issued a request for information (RFI) that solicits recommendations on how to eliminate regulatory, operational and financial barriers to enhance issuers’ ability to sell health insurance coverage across state lines. This announcement builds on President Trump’s October 12, 2017 Executive Order, “Promoting Healthcare Choice and Competition Across the United States,” which intends to provide Americans relief from rising premiums by increasing consumer choice and competition. 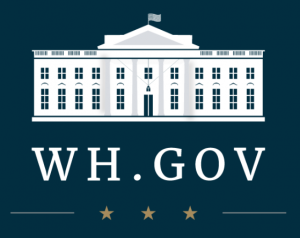 The President’s Executive Order specifically instructs the administration to facilitate the purchase of health insurance coverage across state lines. As a direct result, CMS is issuing this RFI to increase consumer choice. The RFI process allows CMS to obtain valuable feedback from the public and collect ideas on how to change the existing system. In particular, CMS says it is interested in feedback on how states can take advantage of Section 1333 of the Patient Protection and Affordable Care Act (PPACA), which provides for the establishment of a regulatory framework that allows two or more states to enter into a Health Care Choice Compact to facilitate the sale of health insurance coverage across state lines. 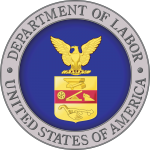 The Department of Labor (DOL) today announced a Notice of Proposed Rulemaking (NPRM) that would make more than a million more American workers eligible for overtime, according to its estimates. Under currently enforced law, employees with a salary at or below $455 per week ($23,660 annually) must be paid overtime if they work more than 40 hours per week. Workers making this salary level or below generally would be eligible for overtime based on their job duties, another consideration. This salary level was set in 2004. Today’s proposal would update the salary threshold using current wage data, projected to Jan. 1, 2020. The result would boost the standard salary level from $455 to $679 per week (equivalent to $35,308 per year). The DOL estimates the new rule will cost employers an additional $440 million annually once it takes effect. The proposal will be published in the Federal Register the week of March 11, opening a 60-day window for public commentary. The final rule is expected to take effect prior to the 2020 election cycle. A federal district court judge has restored the pay data collection requirement established by the Obama administration and then axed by the Trump Office of Management and Budget (OMB). Judge Tanya S. Chutkan of the District of Columbia District Court ruled that the “previous approval of the revised EEO-1 form shall be in effect,” explaining that the OMB had failed to provide a “reasoned explanation” for the cancellation of pay data gathering. The EEO-1 report was originally due this month, but because of the federal government shutdown earlier this year, the Equal Employment Opportunity Commission (EEOC) extended the report’s deadline until May 31. 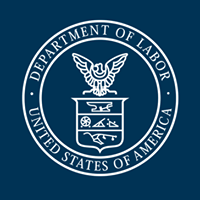 The Department of Labor (DOL) has sent a proposal on defining a joint employer relationship to the White House and its Office of Management and Budget (OMB), signaling that a Notice of Proposed Rulemaking (NPRM) will soon follow. According to the Wall Street Journal, the proposal will set a “high bar” for establishing a joint employer relationship, which refers to the situation in which two employers — for instance, a corporation and a franchisee, or a temp agency and another business using that agency to provide employees — are jointly responsible for their shared employees’ rights under the Fair Labor Standards Act (FLSA) and other employment laws and regulations. With a Notice of Proposed Rulemaking (NPRM) expected this month on new overtime regulations from the Department of Labor (DOL), Bloomberg Law is reporting that the threshold for exemption from overtime pay will rise from the current $23,660 to $35,000 a year. The threshold originates in the Fair Labor Standards Act (FLSA), which created overtime pay back in 1938 for any hours worked beyond 40 in a week. Some states, including California, now mandate that overtime be paid for any time worked beyond 8 hours in a single day. The DOL has not yet commented on the report by Bloomberg Law, but any increase in the threshold will obviously make many more employees eligible for overtime pay. In 2016, an overtime rule from the Obama administration would have raised the threshold to $47,476 a year, but a federal district judge in Texas blocked the rule’s implementation just days before it was to take effect. It still languishes awaiting review by the 5th U.S. Circuit Court of Appeals in New Orleans after the Trump administration asked that the court put a halt to the process while it designs a new rule. Some have speculated that, should the Trump-era rule be blocked by lawsuits and a Democrat elected president in 2020, the $47,476 rule could easily be revived. Following 2018’s decision to end forced arbitration for sexual harassment claims, Google (aka Alphabet) announced Thursday that it would end forced arbitration for discrimination as well on March 21. The change applies to all Google employees as well as temps and contract workers, though the company says it cannot force staffing agencies to make the same change in their employment agreements. The sexual harassment change came after a demonstration worldwide by some 20,000 Google employees. Since then, a group called Googlers for Ending Forced Arbitration has kept up the pressure to extend the arbitration exclusion. The Fair Labor Standards Act (FLSA) allows employers to pay service employees — those who receive “more than $30 a month” in tips — less than the minimum wage, provided tips plus wages match or exceed the minimum wage. But what happens when the tipped employee performs non-tippable work? 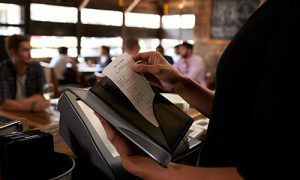 Under the Obama administration’s interpretation, tipped employees could spend no more than 20 percent of their time doing non-tippable tasks for the employer to legally take the tip credit. Health care spending in the United States is expected to rise 5.5 percent annually from 2018 to 2027, the Centers for Medicare and Medicaid Services (CMS) estimates in a new report. “Among the major payers, average annual spending growth in Medicare (7.4 percent) is expected to exceed that in Medicaid (5.5 percent) and private health insurance (4.8 percent) over the projection period, mostly as a result of comparatively higher projected enrollment growth,” the report — published yesterday in the journal “Health Affairs” — says. The authors, who all work for or with the CMS Office of the Actuary, also state that health care coverage of the population will remain stable at around 90 percent while spending will rise to 19.4 percent of gross domestic product (GDP) — $6 trillion — up from the current 17.9 percent. While the projected rise in spending is faster than during the decade beginning with the Great Recession in 2008, it is still lower than the 7.3 percent annual growth rate experienced during the period starting in 1990 and ending with the Great Recession. Expenditures on prescription drugs are expected to grow on a 6.1 percent annual rate during the decade starting in 2018.